We believe that business communication is more effective if you’re face-to-face. So when your teams are working remotely, you need a communication solution that offers that same level of interaction and efficiency. What you need is professional video communication that overcomes all barriers of remote working. With high quality video and true real-time collaboration, wherever, whenever and for whomever. Pexip offers just this. Simple but professional video calls and meetings with cost-effective, flexible and easily scalable software. Users in more than 190 countries and 12,000 cities across the globe have already discovered the power of video. Now it’s time for you to uncover your chances. 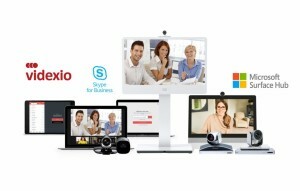 Pexip offers video meetings, video calling, and simplified live streaming / recording. Each license provides a virtual meeting room hosted in the cloud. No technical or hardware implementation is needed, so it’s easy to get started. Participants can dial-in using a traditional purpose-built videoconferencing unit, or select their preferred device: smartphone, tablet, or computer, via their web browser, or by using the dedicated My Meeting Video app. Empower your entire workforce with real-time, face-to-face communication with anybody, anywhere, anytime. Pexip's cloud video solutions integrate seamlessly into your existing ecosystems, simplifying implementation and protecting your investments. Are you curious as to how your organization would benefit from videoconferencing in the cloud? As a Pexip partner, Duppal can help you explore the possibilities of Pexip for your business. We are happy to set you up with a free 30-day trial. Videoconferencing, Skype for Business and Office 365 seamlessly connected. Integrating simple video communication within the enterprise used to be complex. But with a videoconferencing solution in the cloud, it’s easy. Pexip brings your devices, technology, tools and users together in the cloud. It enables you to use video within your existing workflows, seamlessly and efficient. Learn more about Pexip and your Microsoft integration. We can help you get your cloud collaboration tool and bring it to the work floor. With our multivendor approach, we offer you a wide range of high-quality collaboration tools. We’re happy to inform you about the possibilities.